Fashion clothing; a key factor in a number of both men’s and women’s lives. For some it is something from which they do not want and cannot escape. For many, fashion clothing is a necessary part of their life. Following fashion requires having a large wardrobe of clothes which house all the latest and most popular fashion garments, and more importantly, the very latest designs. Clothes’ designing is an art which often uses culture and tradition as the basis for creations, and in any one year a designer will have three collections: winter collection, summer collection and spring collection, and it all depends on the season as to what designs the collection will feature. To be a successful fashion designer a number of factors need to be taken into account such as what their customer base and target group look for in design, and also what the current trends are in the market, which are often decided not only on season, but also on the brand itself. Thailand’s fashion industry offers a lot of variety due to the fact that a large number of leading international brands have stores here, and there are also a large number of Thai designer brands who design for those who follow international fashion and base their designs on that particular target group. Fashion has played a major role in the development of the lives of Thai people, and for those in Thailand who want to follow fashion usually means they have to prosper in life and want to live a high quality lifestyle. These people want to live a beautiful life, they want stylish homes with stylish décor, and they also want stylish and fashionable clothing in their wardrobe. Founded in 2004, Itch clothing is for men who love street wear. Itch is a hybrid clothing line, meaning that it is the birth child of two different styles. It’s the unifi cation of hip hop wear and skater wear. Their most popular products are their unique designer t-shirts. Marisa Horn gained success from her “Mari-J” brand, a store retailing fashion apparel imported from Japan. This success inspired her to build her own brand. She studied fashion on her own and discovered new styling trends from her travels to New York, Paris, London, Tokyo and the fashion week in Milan which influenced her view of fashion and lead to the beginning of her brand Marihorn. Marisa believes that it’s not just stars and celebrities that want to look good and that all girls want to be good-looking regardless of the time of day, be it from the moment she wakes up in the morning or casual clothes during a relaxing afternoon to the evening dress she wears to a party; all need to be attractive. Marisa is particular about the quality of the stitching and tailoring details. 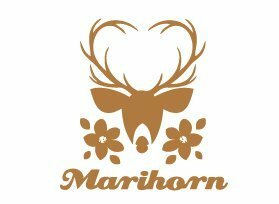 Her hopes are that her brand Marihorn will be another choice for the fashionable woman who cares about style and quality. Michael Tien founded The G2000 Group in 1980 in Hong Kong. And it has since positioned itself to provide upscale and high-quality corporate and casual clothing that is made with utmost care and attention. Its mission is to offer an ultimate shopping experience throughout each and every part of its operations. With this, G2000 makes sure that it only offers the best styles and designs to its customers. With over 30 years of expertise in structured and soft tailoring, G2000 has built a solid reputation of excellence in quality, fit and value for money. Clothes are unique to each brand whether its style, colors, patterns and fabrics. People’s choices for clothes depend on their own individual preferences. However, for designers their choice of designs for their collections often use a theme, and their collections usually tell a story. Their brands pay attention to detail when it comes to colors, designs, packaging, and also customer care and after sales service. 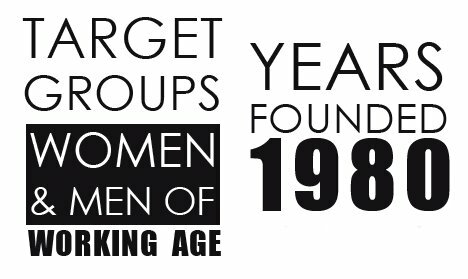 Their target groups are important and it is for their target groups that their collections are designed. The fun of fashion is not simply about beautiful and creative clothes, but also about the identity of the person wearing it.